So, you’ve been dreaming about your ideal barn. You’ve imagined how you’ll turn it into a model of absolute efficiency. You’ve thought about how to keep it warm during winter and cool during summer. You’ve looked into options to keep your animals’ space sanitary and comfortable. You know that it will be a barn you are both proud to own and happy to work in. You’re about to take a big and exciting step by ordering your first VersaTube Barn, but before you can spring into action you need to consider sizing. The size of your barn will largely determine the characteristics and amenities available to you, so sizing is key in the planning process. Whether you raise horses, dairy cows or are a hobby farmer, we’ve gathered 3 considerations to help you size your barn. 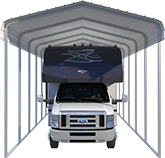 Location: Your barnlocation will play a huge part in determining your barn’s size. It’s equal in importance to your barn’s function and aesthetic. The location should allow for ease of access for your animals and equipment. 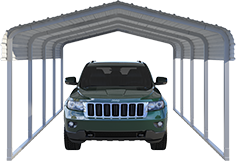 If you’re planning to build a large barn, the location should not impede any access to large equipment and vehicles. Consider that if you’re planning to grow your herd, you’ll want ample space surrounding your location for future barn-expansion projects. Additionally, the location can impact what federal, state and local building codes should be followed, as these may indirectly or directly affect how large you’re able to build. Space: Understanding how much space you need inside AND outside your barn is essential to sizing. Do you plan to shelter sheep, cattle, horses or any other animals inside? You’ll need to keep the size and care requirements for the animals you plan to house in the barn in mind. Many of our clients use their VersaTube barn for horses and cattle. A standard horse’s stall is 12 ft x 12 ft where broodmare stalls are usually around 12 ft x 24 ft. Sure, cattle don’t stay inside often, but when one is injured or sick, designated stalls can be lifesavers! Also, please consider the ideal height of your barn and the stalls it will hold. A Percheron will require a very different stall height than an Arabian, for example. It’s always easier to put a small animal in a large space, but placing a large animal in a cramped space is cruel (not to mention uncomfortable and could seriously harm your animals). Functionality: Regardless of the type of animals you intend to keep in the barn, make sure that you have enough space to accommodate everything from equipment, to stalls, to a tack room, to walk ways and wash stalls. Feeders, waterers, heating, a/c units and fans will take up additional space. 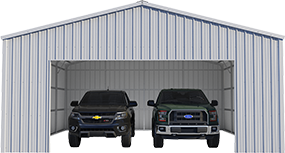 Your barn’s functionality will depend considerably upon how much space you have to work with. Less space means fewer options for functional add-ons and necessities. Ease of access inside of your barn for equipment like utility carts should not be forgotten, either..
Now that you’ve considered the above, you’re ready to move onto the next step! You can order your VersaTube Barn Building Kit by clicking here, or, contact us directly with your questions about the barn planning process at 888-675-4140 or at our Contact Us page.